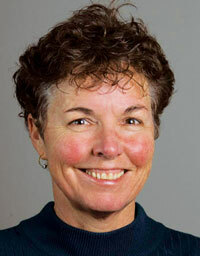 Kimber Stanhope, nutritional biologist at the University of California, Davis, US, is studying the health effects of fructose, a component of sugar. She has carried out carefully planned experiments feeding comparable groups of people fructose, glucose and high fructose corn syrup—which, like sugar, is part fructose and part glucose—and then comparing their effects on risk factors for metabolic disease. In an interview to Archana Yadav she shares her findings. Your study clearly shows fructose has unique effects on the body. Are these effects significant enough to cause metabolic disease in the long-term? That is very difficult to prove. That’s why all the nutrition research is based on population association studies; studies that show increased sugar consumption is associated with increased incidence of a particular disease. There are many, many studies that show that. But to prove that’s a cause-and-effect relationship, meaning sugar is causing that disease, we have to rely on diet intervention studies. But when you do a diet intervention study the best you can look at is a risk factor and that is because nobody ethically can do a study in which the intention is to cause human subjects to develop a disease. Our earlier study, which was published in 2009, suggests compared to glucose, fructose causes increased lipid levels, increased fat-making in the liver—meaning the fructose is converted into fat in the liver—and it reduces insulin sensitivity. It also appears to have a unique effect by which the excess fat that is gained during the consumption of fructose-sweetened beverage gets deposited in visceral adipose. Now visceral adipose is the fat that is contained within the abdominal cavity and that fat is more associated with metabolic disease risk factors than the fat that’s deposited subcutaneously, that means under the skin. Those were the four major facts we reported in our 2009 study. Now 2009 was five years ago. What have we shown since? Well, we have shown when younger, healthier subjects consume high levels of fructose or high fructose corn syrup, we can see these increases in lipid within two weeks. Other researchers have also conducted some very important work. There was a research study conducted in Denmark where they fed sucrose-sweetened cola, one litre a day, to humans for six months. Those research subjects also showed increased visceral fat, increased lipid and increased liver fat—which is something our study did not measure—compared to the control group who were consuming either water or aspartame-sweetened beverages or milk. That was a very important study that confirmed our results. There was also a study in Switzerland, in which young, healthy subjects consumed one-half the amount of fructose compared to our subjects in 2009. And those subjects also showed increased lipid levels and decreased insulin sensitivity in the liver within three weeks compared to subjects consuming the same amount of glucose. Are these results consistent and repeatable? There are studies that did not show the same differences between glucose and fructose that we saw. In some cases it might be because the studies were not as carefully conducted as our studies. Our studies were very carefully conducted. One of the reasons is, for example, in the 2009 study, our subjects lived at our clinical research centre, which is part of a hospital, for two weeks at the beginning of the study and two weeks at the end of the 12-week study. When you have your subjects at the clinical research centre you are minimising problems due to variables; subjects have different activity levels and different diets at home. The other problem is that some of the research that does not show fructose consumption or sugar consumption increasing risk factors has been funded by industry, for example the corn refiners. That is what makes it difficult for a person to look at all the research studies and say it is absolutely clear that sugar increases risk factors for metabolic disease. There are studies that do not show this but many of these studies are supported by the industry. The most money that has been provided to answer that question about sugar consumption was $10 million but that was provided by the Corn Refiners Association to a scientist who serves as a consultant for the industry. And he has spent $10 million to do lots and lots of sugar diet-intervention studies, and all his data shows sugar is no problem. It is a very big problem. Right now I feel very frustrated. How much of fructose is high enough to cause adverse effects? We still need to do a very carefully controlled study to determine safe levels or prudent levels of fructose consumption. I have two problems answering that question. One, I have data I can’t talk about because it has not been published yet. The second problem is nobody as of yet has conducted a study where they have provided controlled diet throughout the entire intervention study. I have written an NIH [National Institutes of Health] grant. In that study I have proposed my research group will make all meals for the subjects for eight weeks. And the meals will contain either zero per cent or five per cent, 10 per cent, 15 per cent or 20 per cent of energy as added sugar. This study did not get funded, but I will keep trying obtain funding because this is the kind of study that needs to be done before I can accurately answer how little fructose is safe and what constitutes overload. In most of the studies that have been conducted recently we provide the sugar-sweetened beverages to subjects that they consume at home along with their normal diet. And those normal diets aren’t controlled, so there is varying amount of sugar consumption going on. The current debate on sugar gives an impression that it is okay to have any amount of carbohydrate as long as one does not touch sugar. But high levels of glucose and insulin in blood have also been shown to be linked to heart disease. That is difficult to know for sure because at this point many of the studies that suggest carbohydrate consumption is related to metabolic disease did not separate the effects of sugar versus the effects of bread, rice, pasta and grain. We need more studies that will look at that. We need to look more carefully at the high complex carbohydrate diet that does not contain sugar. Does that diet promote metabolic disease? I don’t think we have done enough studies that we can say yes. In my control diet the subjects consume white bread, white rice, white pasta, not whole grain. When I take away those carbohydrates and instead add the sugar I see raised risk factors. My data shows very clearly sugar is a bigger problem compared to white bread, pasta and rice. We need to do a study where we provide the number of calories people eat in order they do not lose weight. I have actually written an NIH grant to answer that question, too. It is very, very difficult to get grants for such studies. Conducting well-controlled diet intervention studies in humans are very expensive. Do we have enough evidence to say that sugar is an independent risk factor for heart disease? If you put together the population studies that show associations between sugar consumptions and cardiovascular disease, and you look at the diet intervention studies that show increased risk factors when we replace food that people eat with sugar, I would say we have a very strong body of evidence that sugar consumption contributes to heart disease, and some of that data suggests it is independent of weight gain. But I would very much like to do the study where subjects are getting exactly their energy requirement, therefore, none of the subjects would gain weight, and that would be the definitive evidence that is necessary to prove that weight gain is not a factor; that it is only the sugar. My data in which I separate the subjects who did not gain weight and the subjects who did gain weight certainly suggests that I’m going to have increases in risk factors, that there is increase in risk factors even when subjects do not gain weight. When they do gain weight eating sugar the increases in risk factors are even higher. We need a longer term study like that in which the amount of sugar is controlled throughout the entire study. We are very hopeful that we will soon obtain NIH funding to conduct a study like this. How long have you been studying fructose? How did you get interested in it? I work with Dr Peter Havel and we were investigating leptin in 1996. Leptin had just been discovered two years earlier and everybody was very excited about leptin because it was looking to be a possible solution to obesity. Leptin is the hormone that is secreted by our fat cells all over the body, travels through the blood, goes to the brain and tells the brain to quit eating so much and to burn more calories. When there isn’t any leptin around, the brain says, “I need to eat more. I need to decrease my calorie-burning because there is not enough energy.” So we get very hungry when leptin levels are low. It had been discovered that mice that did not have leptin were obese, but if they were provided leptin they got thin. So everybody was very excited about leptin. Was it possible we could provide leptin to obese people and they would get thin? It turned out that no you couldn’t. Obese people already have high levels of leptin because there are lots of fat cells making it but their brain was not responding to the leptin message. But in 1996 everybody was still hopeful this would be the case. In our lab, we cultured fat cells in a petri dish and we found that the more glucose those fat cells took in and metabolised the more leptin they made. That led to a very interesting question: what happens when we eat fructose? When people eat fructose the fat cells do not get exposed to glucose. So does fructose consumption decrease leptin level? We conducted one-day studies that showed it did. So next, in 2007, we attempted to find out whether subjects consuming fructose with their normal diets would gain more weight than the subjects consuming glucose. We found they gained exactly the same amount of weight, so we didn’t prove our hypothesis. Initially, I was very disappointed. But the minute I saw our early results of what fructose was doing to the lipid levels in our older subjects compared to glucose I knew I’d be studying sugar and the effects of sugar on metabolic disease for the rest of my career.